Undefeated welterweight world champion Errol Spence Jr. and two-division world champion Lamont Peterson faced off Thursday at the final press conference before they enter the ring Saturday, January 20 in the main event live on SHOWTIME from Barclays Center, the home of BROOKLYN BOXING®, and presented by Premier Boxing Champions. 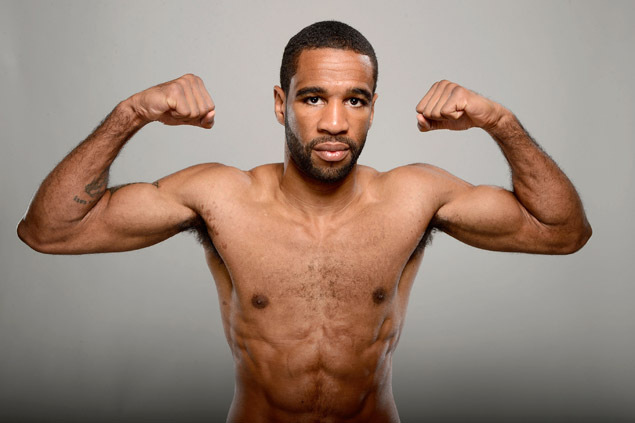 The SHOWTIME CHAMPIONSHIP BOXING telecast begins at 9 p.m. ET/6 p.m. PT and features unbeaten lightweight world champion Robert Easter and former world champion Javier Fortuna, who met face to face for the first time on Thursday. Competing in SHOWTIME CHAMPIONSHIP BOXING PRELIMS on Saturday will be unbeaten light heavyweight Marcus Browne and once-beaten Francy Ntetu, who meet in a 10-round bout, plus undefeated heavyweight Adam Kownacki and once-beaten Iago Kiladze, who step into the ring for a 10-round affair. “When I got into boxing, I had goals. First I wanted to be a National Champion, then a world champion as a professional, but the ultimate goal is to be in the Hall of Fame. With that being my goal, I wouldn’t put myself in that conversation yet. With wins over a guy like Errol Spence and the other top welterweights, I think I’m right there in it. That’s my goal and I’ll give it my all to get there. “I don’t worry about any negativity. My resume is written in the history books. All I can do is respect the opinion of others and work hard to get this win. “I’m excited and looking forward to the skill level that’s going to be displayed this weekend. It’s going to be a rough fight for sure. But I look forward to the technique and skill level. Defense, offense and transitioning between the two. That’s the part of boxing that I love. “Errol even taking the Kell Brook fight was impressive to me. Most guys in his position take their time leading up to the first title shot, but he ended up fighting someone in his prime in his country. To will himself to that win was very impressive.